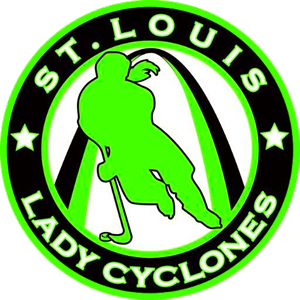 For the 2017-2018 season, the St. Louis Lady Cyclones are using a new sports management platform called Crossbar. Below are some tips to manage your account allowing you to get the most out the available functionality and features to help manage your daughters season. When you register for a program with the St. Louis Lady Cyclones, you will enter a main email account, usually associated with a parent. This email address will receive any communication sent to your daughter. Sometimes it is necessary to add another parent, grandparent or other guardian so they are also kept in the loop of any important messages. When logged into the St. Louis Lady Cyclones website, click on the dashboard menu item at the very top left of the page. On the left side menu, click "Players". These are the players associated with your account. Next to a player you want to add an email address, click "View Details". On right side of page you will see a button to "Add Parent". Click this button. In the search button, click the name of the person you want to add to the players account. With crossbar you have access to a family calendar. This calendar includes all events your daughters team has been assigned (if you have more than one player, the calendar link includes information for all players). Syncing only has to be completed one time, and it will follow your children through future camps and seasons. To sync a calendar, click on "My Calendar" at top left of the page (or in the navigation menu if on mobile). Click on the subscribe button on right side, and follow prompts for your device.